This journal article analyzes select physicochemical and biological characteristics of two acidic rivers, the Tinto and the Odiel, located in the Pyritic Belt of Southwestern Spain. The article includes an illustration indicating the geographic positions of the two rivers, seasonal values of physicochemical parameters measured and number of chemolithotrophic bacteria in the rivers, seasonal proportions of sulfur-oxidizing and iron-oxidizing bacteria, correlation analyses, and relationships inferred from correlation analyses. 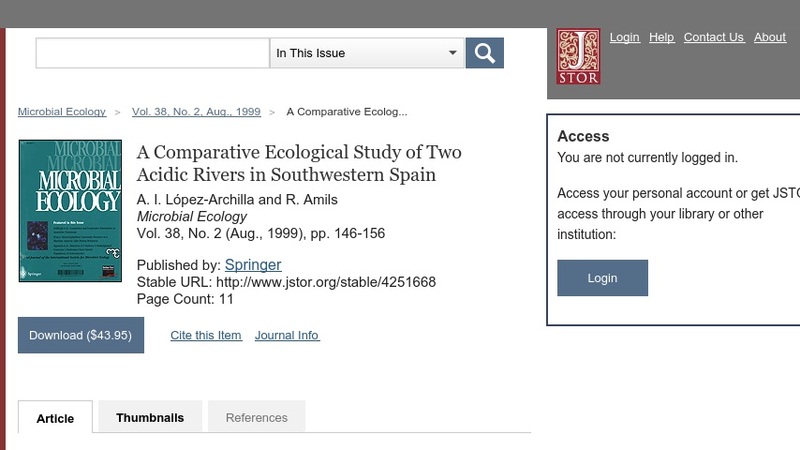 A paid subscription to SpringerLink is required to view this article.